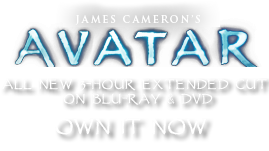 Canoe Paddles | Pandorapedia: The Official Guide to Pandora | Own AVATAR on Blu-ray & DVD Now! Na’vi Name K'tsik set'ma s'ashk'ey or “knife cuts water.” In everyday use, referred to as k'tsik. Size Between two and three meters. Materials and Construction Woven and bound reeds and twine, incorporating traditional design and styles handed down through generations. The weave of the paddle helps determine the kind of stroke to be used by paddler.